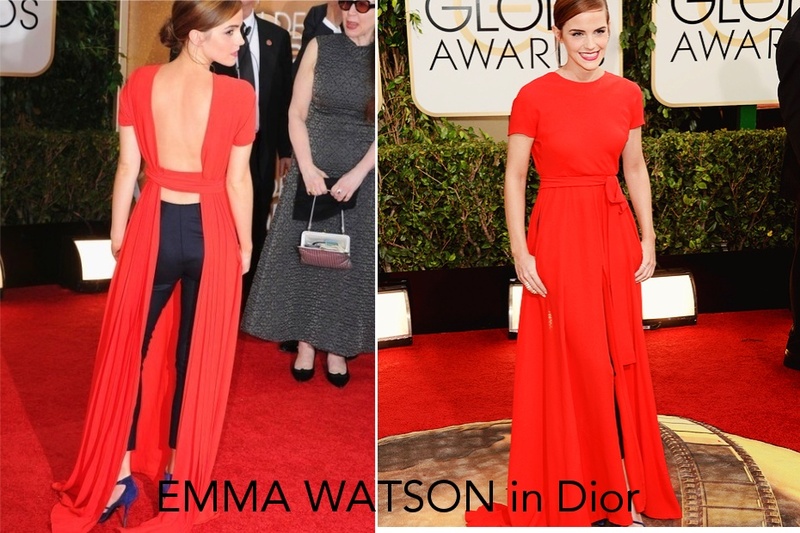 Last night, Hollywood played host to the 71st annual Golden Globes. The Beverly Hilton Hotel welcomed some of the finest talents from the past year in TV and cinema including Leonardo DiCaprio, Jennifer Lawrence and Amy Adams. Comedic dream team Tina Fey and Amy Poehler hosted the show for the second year in a row after killing it last year with their inappropriate jokes and skits. Tina Fey wore a floral Carolina Herrera, while Poehler who picked up the award for Best Actress in a TV Comedy, donned a black, belted Stella McCartney number. 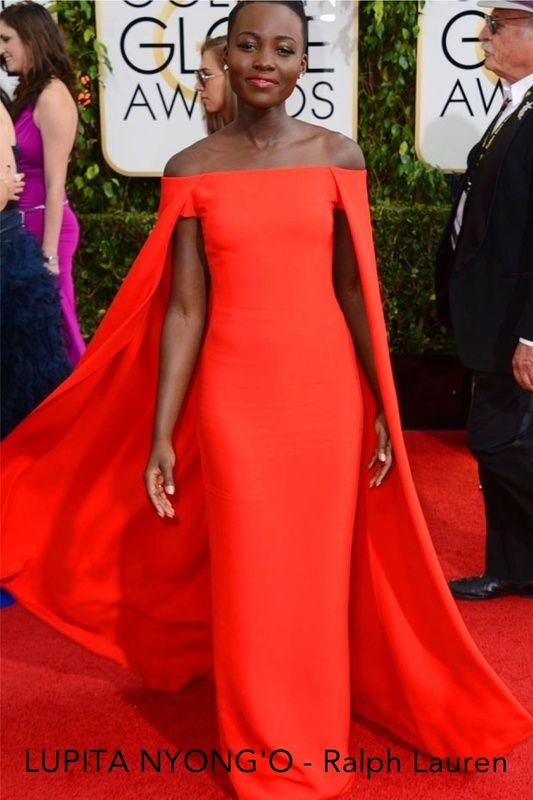 Red was the big colour dominating the red carpet, with ’12 Years A Slave’ actress Lupita Nyong’o and Emma Watson both opting for the regal shade. Amy Adams wore two-toned Valentino with a plunging neckline. Adams said her choice of gown was inspired by her role in ‘American Hustle’. Jennifer Lawrence, wearing a monochrome inspired Christian Dior Gown, took away the first award of the night for Best Supporting Actress for her role in ‘American Hustle’ which also won Best Picture – comedy/musical on the night. 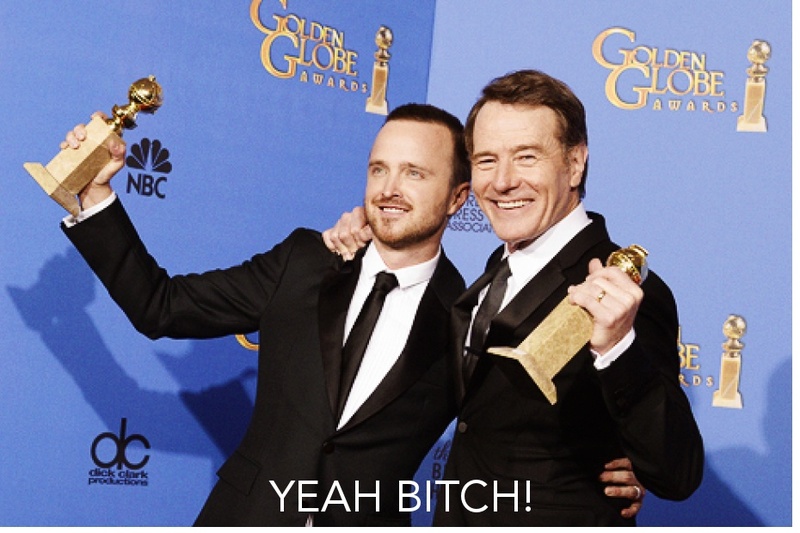 Another big winner on the night was AMC show ‘Breaking Bad’ winning best TV Drama, straight after Bryan Cranston picked up his first ever Golden Globe for ‘Best Actor’ for his incredible performance as Walter White in the show. 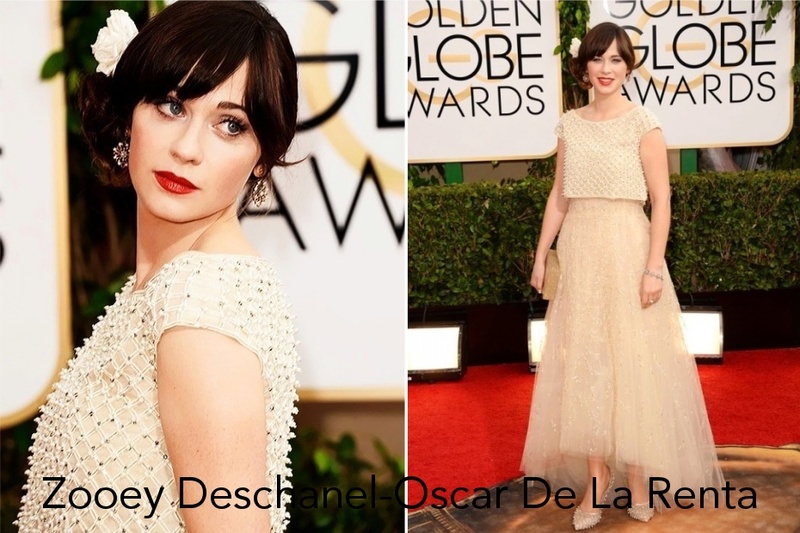 Zooey Deschanel was enchanting in Oscar De La Renta, perfectly topped off with a red lip and a flower in her hair. 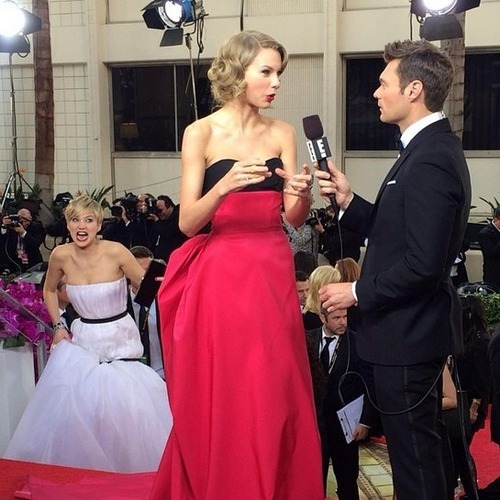 Best red carpet moment had to be Jennifer Lawrence photobombing Taylor Swift. Sooo happy about that friendship. 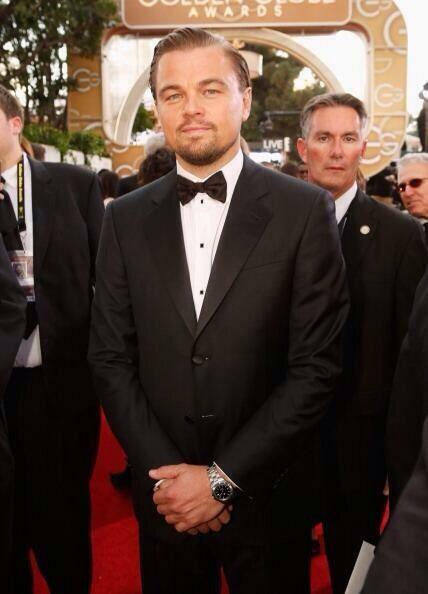 A very slick-looking Leonardo DiCaprio picked up an award for his role in’ Wolf of Wall Street’. Here are some other hot men that walked the red carpet – just for good measure. Next > The Friend Zone!